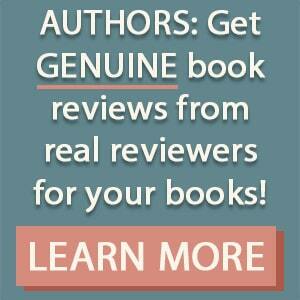 Book marketing can be tough, especially for authors who don’t have any experience marketing. They try what everyone else is doing, but often times the reach and impact from those things doesn’t amount to much. In this guest post, author Ricardo Fleshman shares a marketing philosophy, as well as some very practical tips, to help you to expand your reach while marketing your books. We typically think of the term “epicenter” as associated with an earthquake- the centrally located source from which smaller quakes and tremors originate and then reverberate outward. I would like to apply that terminology here- in terms of you as an author being your own epicenter. If selling more books is the goal, then it is imperative to reach the greatest audience possible and often times that means creating interest and drawing in potential readers from points significantly farther than your known circle. If you imagine yourself as that epicenter and then imagine the waves of contact that reverberate out all around you, you can begin to see a graduated effect. Nearest the center are your family, friends, coworkers, etc. As you move outward from the center, the rings become larger and less familiar but signifying a greater area of potential. Now think of that greater area of potential as readers! It is the area where you need to have the greatest impact but have the smallest influence. So, how do we get there? Considering you have written a book that is worth reading (which is an entire separate blogpost) and that you have followed the overwhelming marketing advice to create an award-winning book cover, issue a press release, utilize every social media platform known to man, create your own website that is optimized for an infinite list of search engines, blog, guest blog, complete a book tour, and run free or discounted book promotions then you may feel you have run the gambit of options available to self-published authors. I am not discounting any of the things listed above. 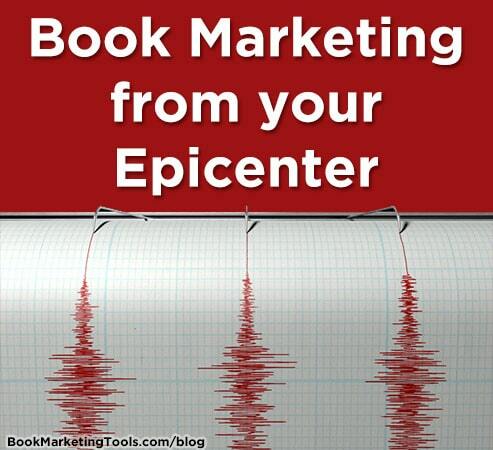 I believe each one is important to an author’s successful marketing however, I offer five tips that I believe are as integral to marketing successfully from your own epicenter as anything mentioned heretofore. DEVELOP A PERSONAL BRAND – Readers will want to know as much about you as your books. You may even be the reason they keep coming back for more. Put effort into telling a story about you that is as intriguing as your books. Sure, where you grew up and went to school are interesting but I suspect what will resonate with the reader more is that you’re the member of a juggling band of unicyclists. More often than not, the loyal fans you create along the way will make referrals based on you as the author and in seeking you out potential readers will discover your entire body of work. DARE TO BE CREATIVE – One example is posting multiple days in multiple ways. Don’t just ask people to buy your book- give them a reason why. Readers may be drawn to your book for a multitude of reasons and you need to frame the reason for them. Try to think about it from a different perspective. If your book is about springtime, you can post about beautiful flowers, then allergy medicine or maybe even overcoming seasonal effective disorder. Don’t be afraid to experiment with your messaging as you never know how many people you will attract by trying different creatives. MARKET BEYOND YOUR AUTHOR FRIENDS – If you have created an incredible network of other independent authors who are great for support and information sharing- people who champion your cause by retweeting and reposting your books to other authors, I offer this: cherish them, but realize there are more readers out there beyond your circle of writer friends. Your goal is to expand the ripples from your epicenter as far out as they can go. I am not advocating authors not supporting one another. You can continue to show them support and they you but ultimately preaching to the choir only gets you so far. Using the springtime book example from point #2, you can reach a far larger scope of readers by affiliating yourself with websites and live activities pertaining to flowers or bees. Do not lurk. Create meaningful conversation or content around those things and position yourself as a resource. Leading readers to your books from that point not only becomes a natural progression but serves to widen your circle of impact as well. BE YOUR OWN CHAMPION – Do your research and find as many different places as possible to tell your story and share your books with the world. Create in others the sense of accomplishment and pride you have in your books and share that in as many places as your budget and time will allow. After all would you buy a product from a salesman who does not believe in what he is selling? HAVE A PLAN TO PLANT A SEED EVERYDAY – Or more if you have the fortitude. Marketing to the scope of readers you need to connect with takes persistence, creativity and stamina. Establish a realistic set of goals for your marketing. In business it is called a strategic plan. Compile a physical list of your book(s) and all of the attributes that are marketable. Then create a list of readers you want to market to, including demographics (age, gender, location, etc) and a matching list of ways you can reach them. You now have a tangible framework from which to work. Detailing the customizable action plan can be as fluid or rigid as your time investment allows but it is important to have a daily outreach plan to keep you and your books in a constant state of building momentum. As an author you are the central force of your books and the intensity with which you market your work will determine how far your reach. If you market outwards and with persistence, keeping in mind that you are constantly expanding the scope of readers who feel your impact then marketing successfully should be well within your grasp.